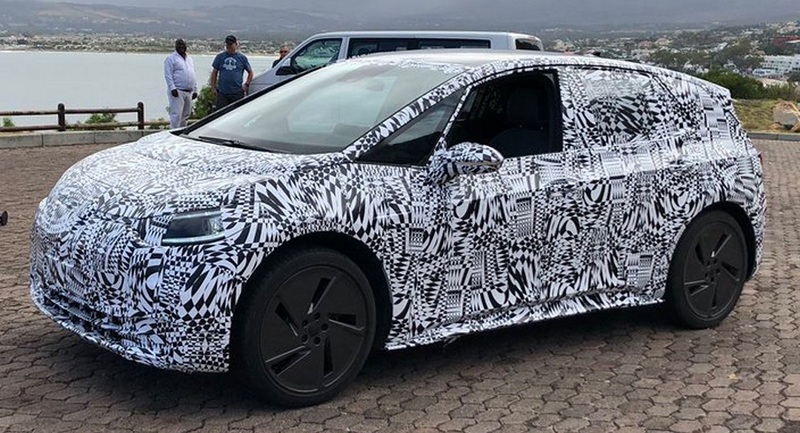 We’ve been talking about the Volkswagen ID family for what feels like an eternity, but we’re finally getting a glimpse at an upcoming production model. 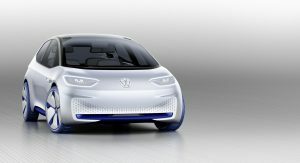 Previewed by the original ID concept, this prototype is a hatchback that is expected to be called the ID Neo. The model was snapped in South Africa by Twitter user Theo Calitz (@Theolitz) and first noticed by The Drive. While the prototype is heavy camouflaged, we can see it will follow in the footsteps of the concept. Despite this, the hatchback has a rounder front bumper and a more traditional lower air intake. The headlights are also more conventional, but they retain the concept’s distinctive LED daytime running light ring. 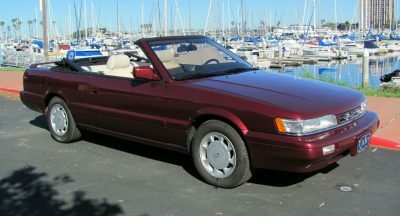 The profile and greenhouse appear to be nearly identical to the concept, but the production model appears to have a slightly thicker rear pillar. We can also see familiar bodywork, but designers installed traditional side mirrors and door handles. Other notable changes include a larger rear spoiler and a more rakish rear window. The hatchback also has larger taillights and a curvier rear bumper. As we have previously reported, the ID Neo will go into production late next year and be launched in 2020. 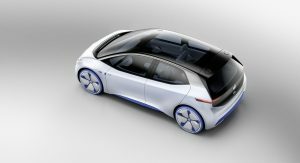 It will become the first model to ride on Volkswagen’s new MEB architecture that will eventually underpin an assortment of other models including the production versions of the ID CROZZ, ID BUZZ and ID VIZZION concepts. 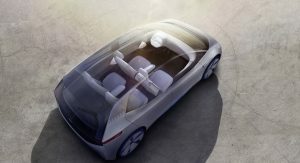 While many entry-level electric vehicles are front-wheel drive, Volkswagen has already confirmed most of the ID family will be rear- or all-wheel drive. 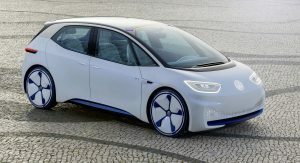 The automaker has also revealed the ID family will use a modular battery pack that allows for ranges between 200 miles (321 km) and 340+ miles (547 km) according to the Worldwide Harmonized Light Vehicles Test Procedure. 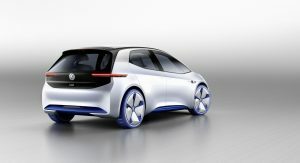 Volkswagen has been coy on performance specifications, but the original ID concept had a 168 hp (125 kW / 170 PS) electric motor which enabled the car to accelerate from 0-62 mph (0-100 km/h) in less than eight seconds. 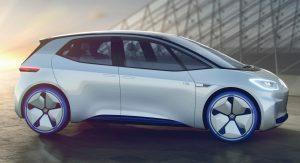 Volkswagen has previously said the production model could have more or less power, so we’ll just have to wait to find out. 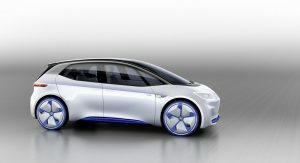 Several styling differences with this prototype compared to the VW ID concept hatchback. The prototype windshield comes in contact with the front “hood” further back than on the concept & the wheelbase seems to be longer. Also the cutout below the doors is much less pronounced on the prototype. The rear side somewhat resembles an Impreza now. Build it! 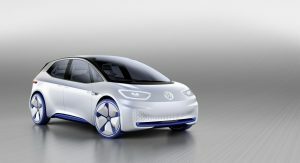 VW will sell every one they can. 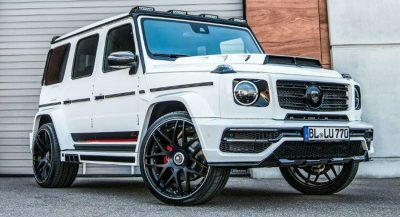 If the range is really great, I would actually consider buying this. It’s clear there’s still small amounts of ‘cladding’ over some of the vehicles body panels here and there (in small amounts) but for the most part it looks just like the concept which is something that is good to see. (I hope they don’t mess up the front end of this vehicle) I am really counting on this to look good). They won’t sell it in the US but I have a feeling this unit will underpin a four door Beetle. I didn’t expect the production model to be spied so soon, but okay. yeah but wasn’t that like 2 decades ago? 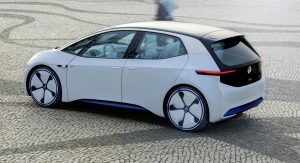 VW aren’t alone with their electrical gremlins, it affects most Euro vehicles, but VW seem to be the worst in my experience as a technician. What type of electrical problems do they have? I live in europe and I never heard of some notorious electronics problems with cars from vw concern. And these cars are literally EVERYWHERE. I have also many friends and family members that have skoda, seat and vw cars. The EPC and ECM are the main culprits plus the Check Engine Light being illuminated is notorious with VW, though they’re not alone in this instance as many Euro cars suffer the ‘Check Engine Light’ problem. I tried to find more about it on the internet and there are indeed some cases of this issue, but really nothing suggests that it is “notorious”. There are not that many search results (especially considering how many cars vw sells) and most of them are older or they talk about older cars (8+ years). 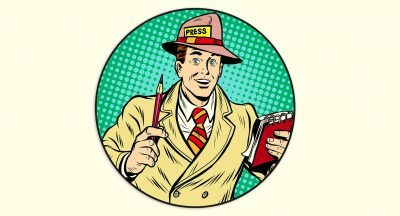 These issue also have multiple possible sources and many times it seems the owners even unknowingly cause them. I even found many comments from owners who are just saying, that they could see the warning light under some circumstances, but they don’t do anything about it. 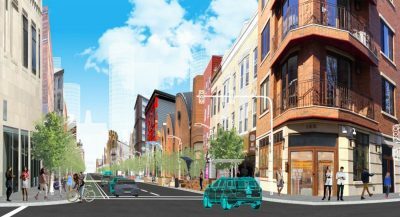 That to me suggests, that they neglect their cars and ignore potential issues until they get stuc. No wonder that such owners have problems… I know it sounds like I’m advocating for vw, but I’m just trying to be objective. I don’t like vw cars and I never owned one and I probably will. Well I have first hand experience here in Australia and I stand by my comment on them being notoriously bad. The NRMA company here in Australia used to do VW roadside assistance but didn’t renew the contract because of how bad they were. Again, I know this first hand. So my experience tells me differently and if you have a different opinion then kudos to you. What are you talking about, mate. I’ve been owning nothing but Volkswagens for more than 12 years now and I have never experienced any severe electrical problems at all. Obviously, you’ve got to exchange a couple parts over the years, but those were simple induction-based sensors and such. I am perfectly satisfied with my choice of driving around in a VW. That’s great you’ve had no problems. I’m in Australia and most of the VW models we have are sourced from South Africa. I stand by my comment that they’re notorious for electrical issues. Like I said, VW are not alone in this either. I’ve owned one. I look after all my cars and the Euro models I’ve had including VW and Ford have had some electrical issues. Again, it’s great yours hasn’t but in my experience they have been horrendous. I work on them too so I know the issues that arise. Sensors, the EPC and the ECM are the main culprits. 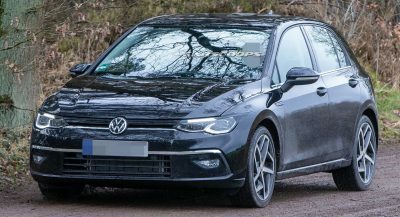 Plus the mechatronics units attached to the DSG have been quite problematic, though these are computerised, and again you may not have had problems, but I’ve seen my fair share of issues that make me want to steer clear of VW in the future. I love the shape and profile of this car; I’d love to have a GTI shaped like this. A much needed relief from boxy front-long blandness.